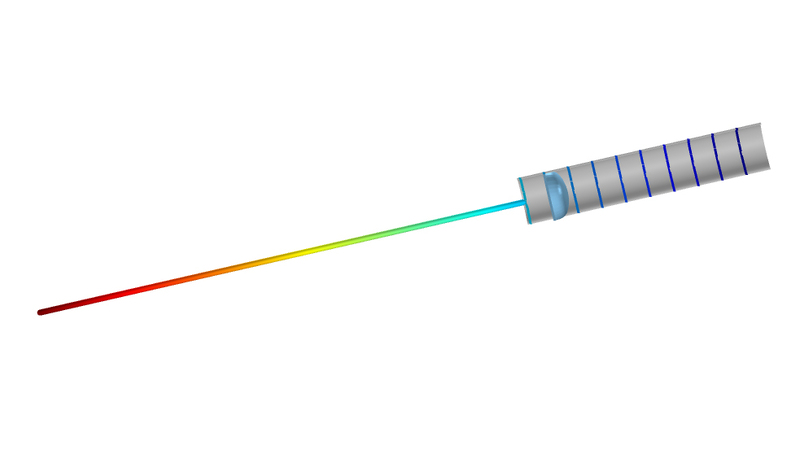 For users of the Pipe Flow Module, COMSOL Multiphysics® version 5.4 includes a new Pipe Connection multiphysics coupling to combine the Pipe Flow interface with the single-phase flow interfaces. 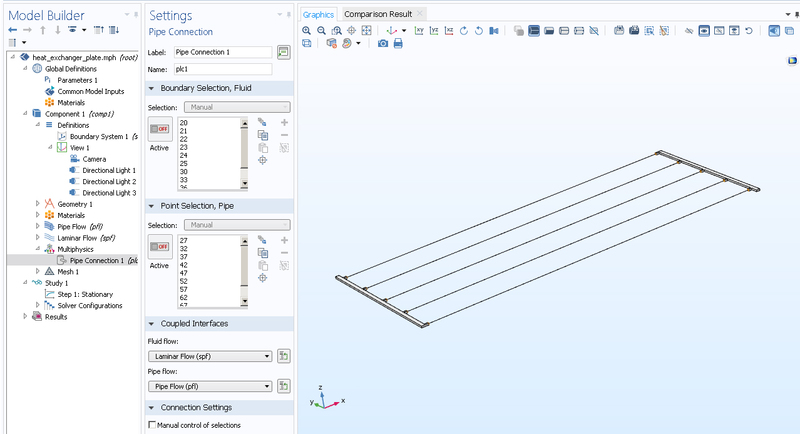 Connecting a pipe segment modeled with the Pipe Flow interface with a 3D single-phase flow body is significantly easier now with this multiphysics coupling. It can be used to connect pipe flow regions with fluid flow domains for both laminar and turbulent flow. You can find this functionality in use in the Convective Flow in Heat Exchanger Plate model. Velocity profile (blue) and pressure contours (rainbow) for the fluid domain simulated with k-epsilon turbulent flow model, which is connected to the circular pipe simulated with the Pipe Flow interface. User interface for the new Pipe Connection coupling. To simplify the model setup, the admissible selections are suggested by the software.